If you love kicking asphalt and are looking to take your running to the next level, let's work together so you challenge yourself and run for PRs. Custom training plans are designed with a detailed run calendar, speed workouts, races, plyometrics and drills to peak for goal races. Every run has pace specific work outlined using Daniels Running Formula. All plans are tailored specifically to the athletes' personal schedule to help maximize performance on race day. Training plans are broken up into cycles to help develop speed and endurance in increments to help ease the wear and tear of a full calendar season. 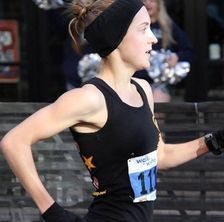 Races and time trials are scheduled to reassess fitness gains during the training plan to make sure runners are training at their CORRECT paces. Mileage is built up slowly with small cutbacks being put in to reduce the risk of injury. All plans come with proper 2-3 week taper process depending on race. All training plans come with a 1 on 1 experience. Communication will be a daily occurrence for all runners. Explanations to every concern that may arise from questions will always be given in a timely manner. Moral support and encouragement will be essential as the support system a runner has is JUST as important as the work being put in, so expect quotes, pictures, emails, texts, and memes to help you stay the course when the road gets bumpy. 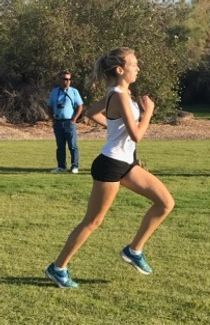 Every runner has potential, I firmly believe that learning how to harness your talent wisely and efficiently will help you run farther, stronger and faster than ever before. For questions about pricing or running plans email us by clicking here. It is my privilege to have trained and run with Alejandro for four years. 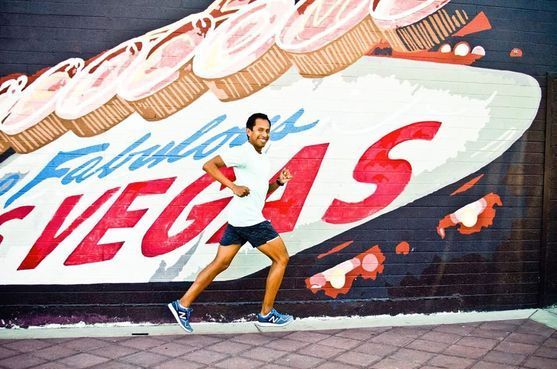 I began running with Alejandro after I graduated high school from Palo Verde in 2012. I was looking for a local team to run with and a coach that would help me become faster and more competitive. Not only has Alejandro helped me achieve those goals, his coaching has given me a deeper love and respect for the sport than I had ever had. Much of that can be attributed to Alejandro's approach to training. Although running is an inherently individual sport, he makes sure that his runners are never alone in the process. He consistently offers feedback, goes on training runs with his runners, and no matter how tired he is after a race, he will always jog back to run his teammates in across the finish line. Along with being an outstanding coach, he has become one of my closest friends. I would recommend Alejandro's coaching to anyone who wants to grow as a runner and grow as a person. I trained under Alejandro in Winter 2015. In just 3 months I was able to break 19 minutes in the 5k for the first time ever (shaving over 30 seconds off my PR). The workouts on the track and and road pushed me to break that barrier. I grew more confident and became an overall stronger and faster runner. 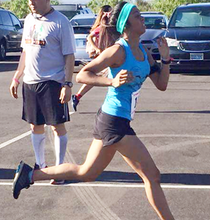 In November 2014, I competed in my first Rock 'n' Roll Marathon Series race. Alejandro gave me some pointers for first runner jitters. In 2016 I decided to take my running more seriously, that's when Alejandro took me under his wing to help me achieve all my goals and crush every race I do. After the first couple weeks of training my stamina was drastically as was my running. Alejandro is not your average coach he always gave positive comments, he never fails to check in on you and push you to your full potential. Even with my super busy schedule he still found the time to come and train with me and give me extra pointers to ensure I'd maximize my results. Alejandro is like your own personal cheerleader without the pompoms. He will support you no matter what and is always so thrilled in whatever time you get just as long he sees you working hard, that's what makes him smile the most. Alejandro was instrumental in helping me qualify for the Boston marathon. His speed workouts really helped my turnover and improved my endurance. He's an excellent runner and clearly knows his stuff. I was able to PR in every racing distance since I began to work with him! I first met Alejandro right after a horrible track season that left me feeling mentally depleted. I was struggling to run 4 miles constantly felt like I was going to die. Alejandro pushed me, encouraged me and showed me exactly what I needed to do during a 12 week program in the summer. Now, I am able to run 10 miles at a strong pace, and it feels quite easy! He taught me healthy eating habits and improved my nutrition as well as hydration intake. 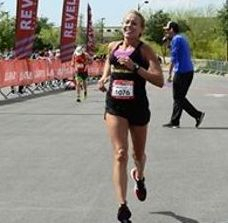 I learned the proper fueling habits that are vital to training and performing on race day. encouraging text messages to help boost morale. He really cares! He even showed up to my first meet and taught me how to really race and overcome jitters. He did more than my coach at school, and I was able to shave off 3 min off my 5K time in our first race of the season. Alejandro has helped me restore my confidence and made me a stronger competitor! I can't say enough about how amazing he is. I'm in love with running again! There certainly is a method to his madness, but as Alejandro likes to say #trusttheprocess. Since I’ve had him as my running coach, my running has taken a big step forward! I am better prepared for the marathon distance and have PR’d even in non-optimal conditions. He definitely knows his stuff and he is in constant communication with you for moral support and to call an audible on the training plan, if something comes up. I would highly recommend him to anybody who wants improve their distance, speed or whatever running goal you may have. A word of caution though: This isn’t for the faint of heart. Be ready to put in some work and be willing to give him continual feedback via your weekly recaps. This is what coaching is all about. #trusttheprocess and you won’t be disappointed with the results. After taking a couple years off from running I decided that in 2018 I wanted to finally run the half marathon for the first time ever. Always encouraged by Alejandro in years prior, I thought it was only fitting to have him as my coach. I never thought I’d EVER run long distances since I would only run 5ks, but Alejandro had always encouraged me to move up, so I finally took him up on it. 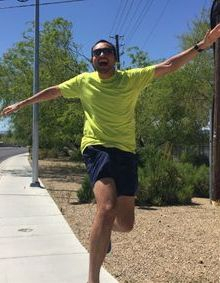 Half way through my training I was struggling mentally, mostly with my long runs but Alejandro was always there encouraging me and helping me change my thinking about long runs. Thanks to him and his training I ran such a great debut half marathon and felt the strongest I’ve ever felt during a race. I feel so confident that my shorter distance races will be even better now that I look at longer distances so different, and no longer as something I can’t. I have Alejandro to thank for that! For always encouraging me and getting me out of my own head!! Alejandro is such an awesome coach and really wants the best for his athletes. So grateful to have him as a coach!